From a comparative-contrastive viewpoint, the rituals of Italian healers of today present some relevant elements which share common ground with shamanic rituals. The similarities extend from the methods of transmission of thaumaturgic power to the recitation of secret magic-therapeutic formulae learned during initiation, from the practice of tracing circles or crosses to that of having recourse to the magic power of water and fire, and from auxiliary spirits in animal form to the paraphernalia used. Autochthony explains the strength of the survival of some forms of Indo-European magic tradition, among which are ancient therapies still practiced by today’s healers. In par- ticular, the paper, which is the result of research in loco, gives information on the exercise of magic medicine in the geographic area of Emilia Romagna, in the North of Italy. Here there are healers, prevalently women, who, without being hindered by official doctors, treat specific diseases with methods remi- niscent of those of the shaman medicine men. The present essay is the first authentic description of the paraphernalia of shamans of the Manchurian Reindeer Evenki. For the details of his description, the author draws on the costumes and experiences of the two last traditional shamans of the Reindeer Evenki in the Greater Hinggan. He pays special attention to the symbolism of the elements constituting the shamans’ outfit. At the same time he elucidates the parallel between the careful attitude taken by the members of the social group during the process of producing the costume’s various elements and the training of the candidate shaman after his or her initial vocational experience. The article provides some data on the initiation ritual of the Manchu-speaking Sibe shamans, the so-called ‘Golden Ladder’ ritual. The Sibe used to have two types of shamans among them: the butu and iletu shamans. To become an iletu ‘real’ shaman one had to climb the Golden Ladder, which symbolized a journey to the spirit Isanju Mama who granted them the right to heal people. The last known shaman to be initiated this way was Morniang in 1928. The authors present an interview with an eyewitness of the ritual published by Chinese scholars. The ritual texts of shamanic ceremony were published in a famous book called Saman Jarin, in which the prayer of the Golden Ladder can also be found. Ildikó Gyöngyvér Sárközi visited the Chapchal Sibe Autonomous County where she interviewed a butu, a shaman who has not been initiated. The article discusses how the changing tradition and the lack of initiation rituals determine the function and legitimacy of the shamans in modern Sibe society. The fusion of religion with shamanism has been occurring constantly throughout Korean history. Christianity, despite a short period of dissemination not exceeding 200 years, has also developed much faster in Korea than in Christian countries in the West, but surprisingly shamanic influences are also noticed in the relationship with Christianity. Such tendencies are mainly noticed in Pentecostal churches, which emphasize the work of the Holy Spirit and the direct experience of the presence of God by the believer. Korean folk Christianity has a diversified understanding of the devil or Satan, normally classifying such beings into groups such as devils of illness, of misfortune, of arrogance, etc., and ascribing all suffering to the consequences of satanic deeds. The experience of the Holy Spirit, similar in fashion to possession by a spirit in shamanism, as well as other mystical elements, such as craving for fortune and blessing in this world, are more important than salvation and eternal life. Behavior similar to that of Korean shamanism is often observed during the services of Protestant Churches, especially during special services like overnight prayer meetings and the revival assembly. Some reputed ministers lay emphasis on full possession by the Holy Spirit, demonstrating a number of mystic actions similar to shamanic activities, for example exorcism, expelling evil spirits, miraculous healing, etc., which are sometimes considered a standard by which to measure a minister’s spiritual efficacy. The aforementioned customs of folk Christianity exist on the boundary of Christianity; and participation is encouraged by official Christianity, which admit them as ‘meaningful’ and ‘legitimate’ practices. 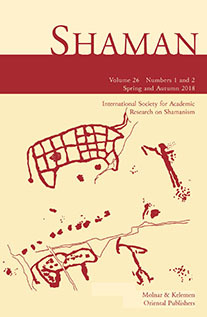 I intend to analyze the relationship between Christianity and shamanism, a Korean cultural substratum, by illuminating the role of Confucianism – specifically the derived or ‘secondary’ Confucianism as it percolated through shamanism in a modified form – in order to understand the influx of shamanic behavioral elements into Christianity. 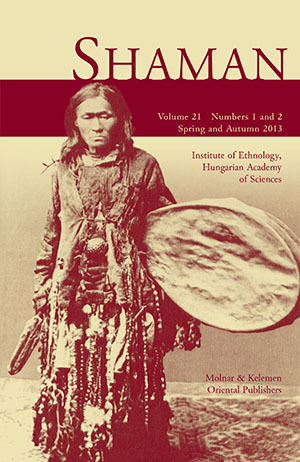 This article revisits Sergei Shirokogoroff’s massive ethnography of Tungus/Manchu shamanism, aiming to demonstrate its continuing relevance for an analysis of Siberian ‘shamanic revival’ at the vanguard of recent anthropological research in medicine, law and governance. With his Psychomental Complex of the Tungus Shirokogoroff probed beneath the surface reality of ritual performances, revealing how Tungus shamans in the early twentieth century governed epidemics of spirit-induced psychosis in native north Asia by means of specialized tools and techniques. The article argues that this governmental skill of shamans has been intrinsic in two different periods in the history of Siberian shamanism, as these were recorded by Shirokogoroff (for the Tungus) and by the author (for post-Soviet Tuva) respectively. Drawing on the author’s research on shamanic retaliatory rituals of countercursing, this article offers an unusual analysis of what ‘shamanic revival’ means to those involved in it: that is, clients (victims) and shamanic specialists (as undoers of curse afflictions). Consultations of countercursing cut across the official medical and judicial organization of the city by recovering the missing link: that is, culturally patterned forensic evidence for real crimes perpetrated by vicious shamanic killers. Shamans thus, either as arbiters of justice or as catalysts of injustice, pave the way toward new avenues of (il-)legality and criminal anthropology in the North.